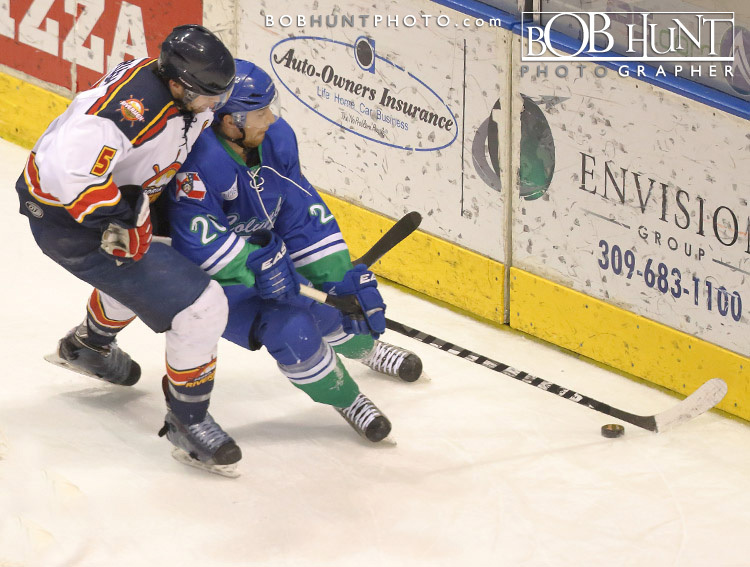 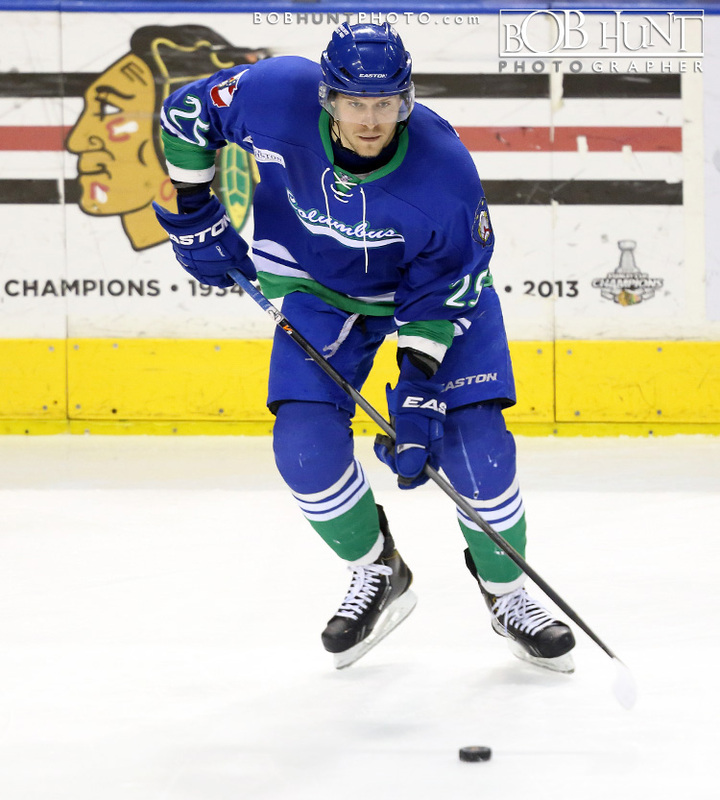 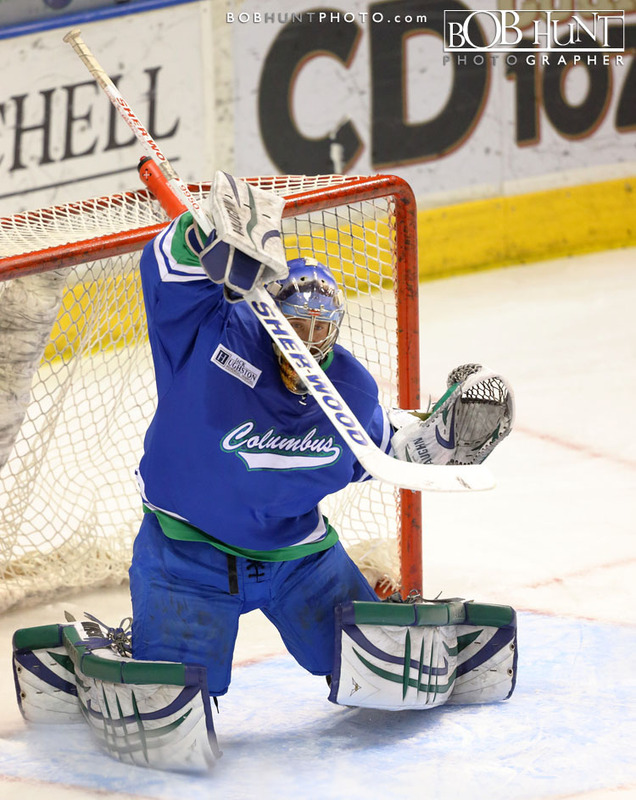 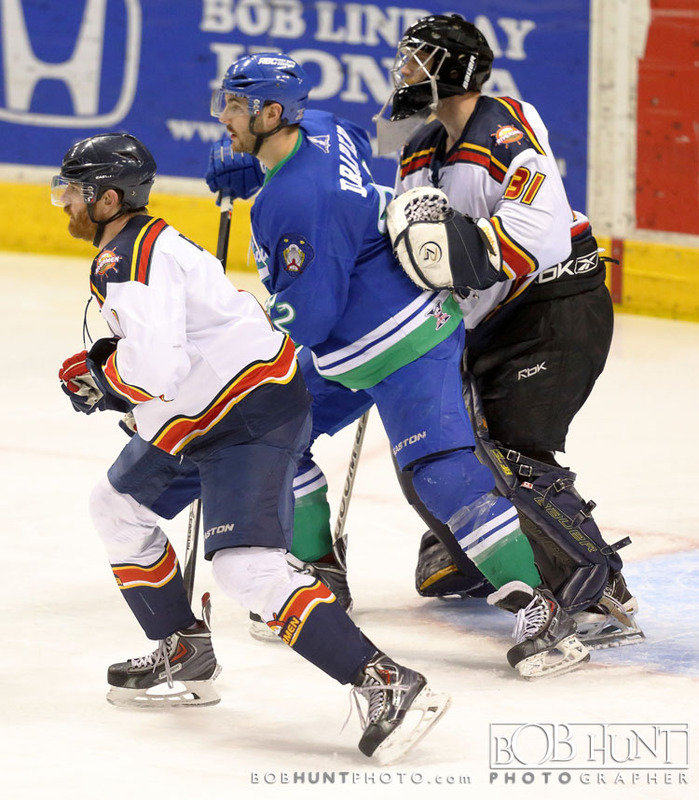 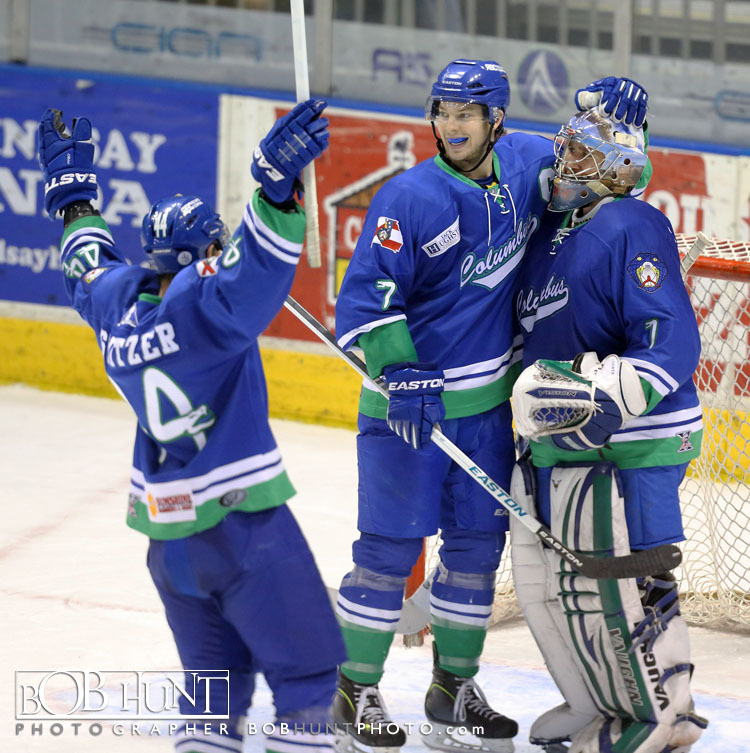 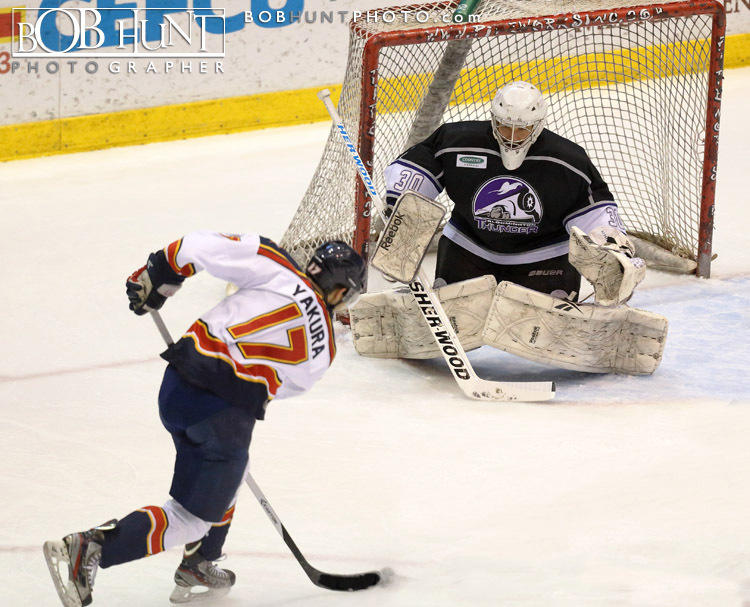 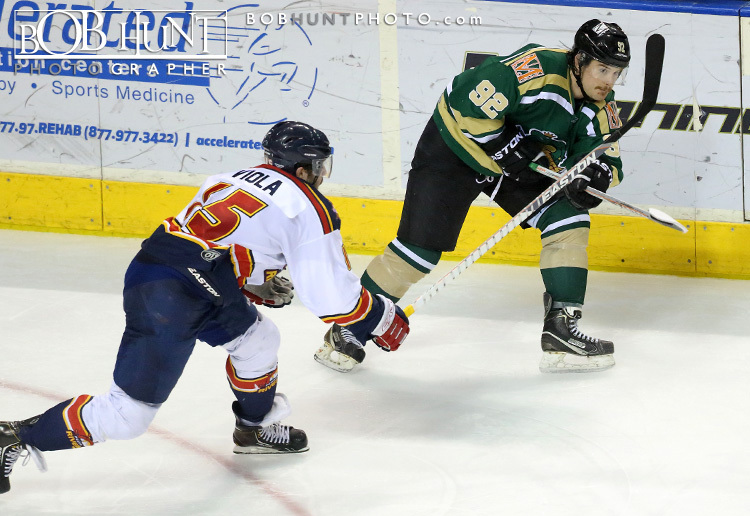 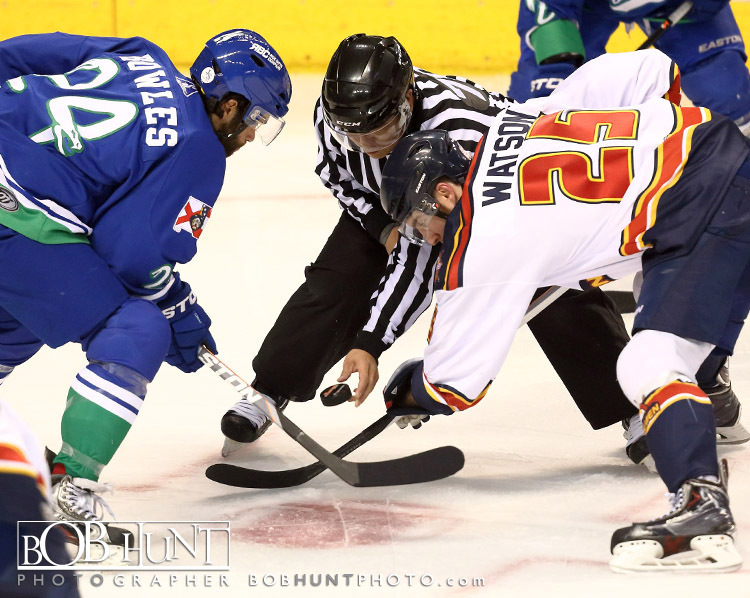 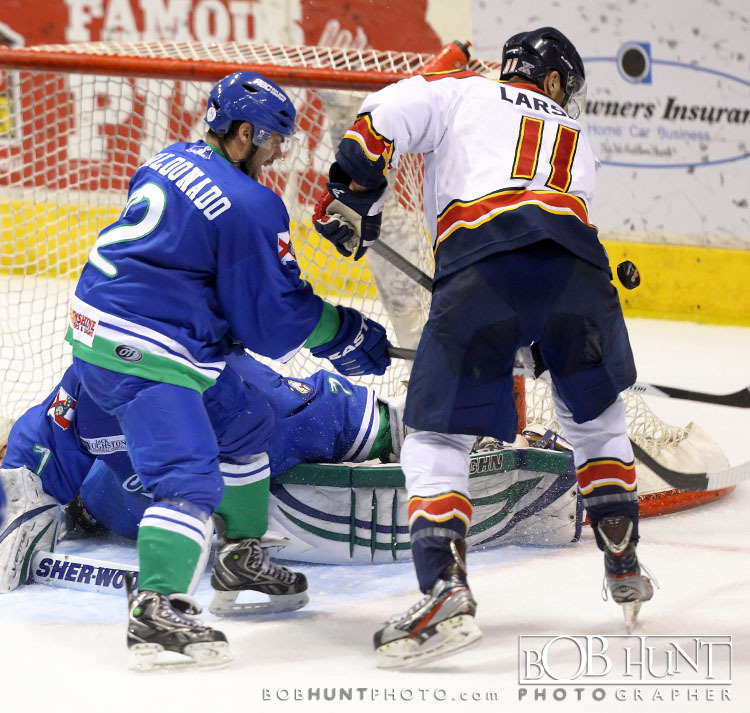 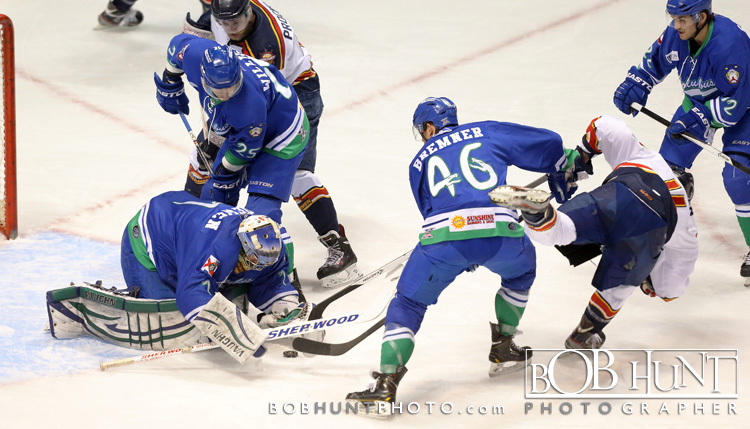 Dean Yakura scored his first goal of the season on Tuesday but the Bloomington Thunder responded with two unanswered goals to defeat the Peoria Rivermen 2-1 at the U.S. Cellular Coliseum. 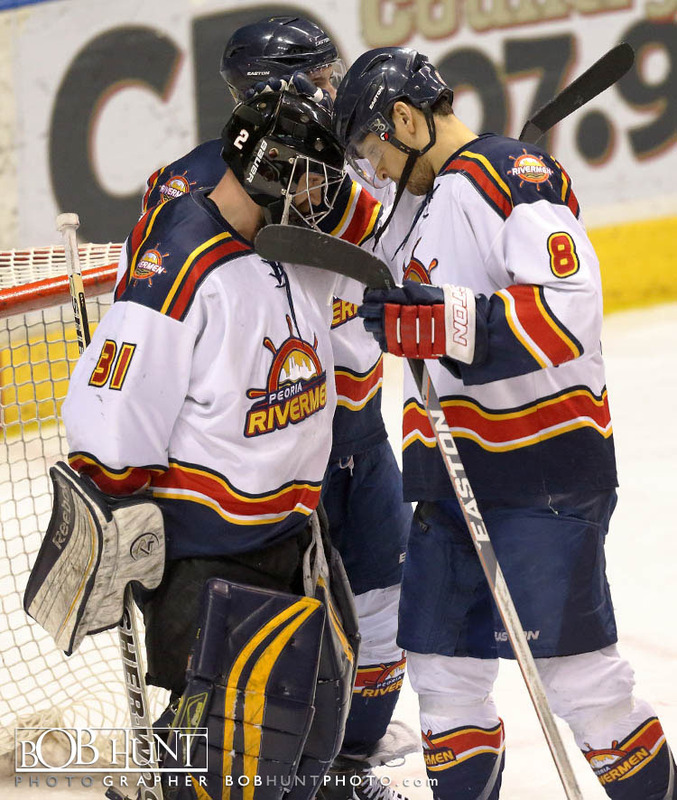 Reid MacLeod notched the game-winner more than 12 minutes into the third, while the Rivermen went 0-for-4 on the power play. 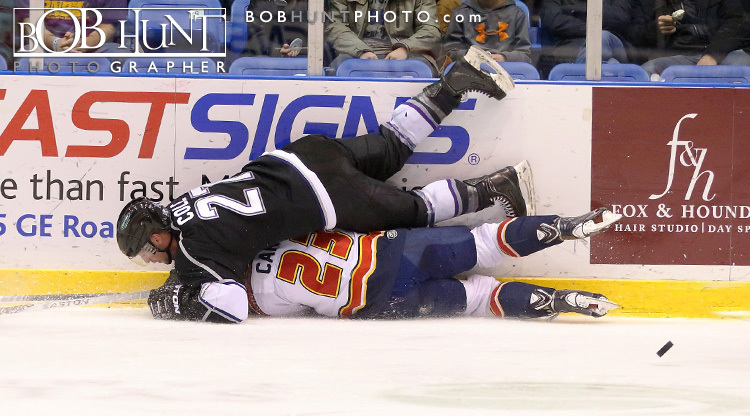 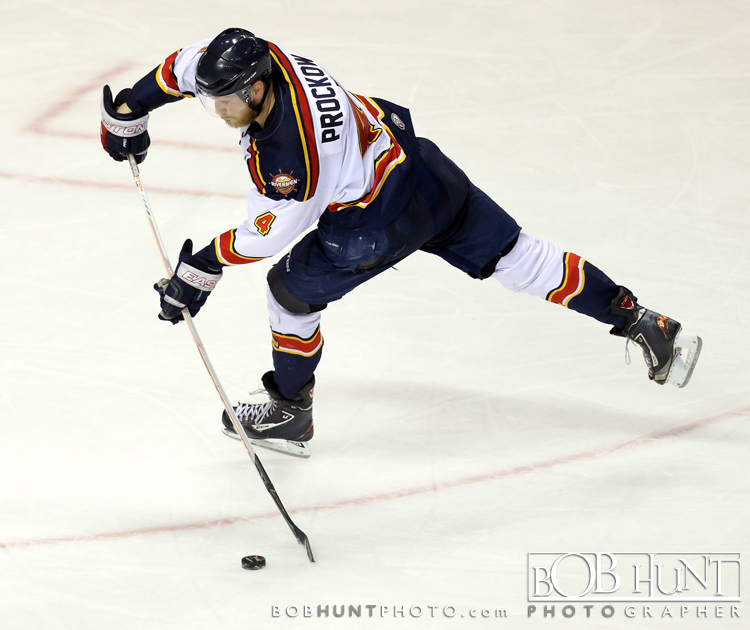 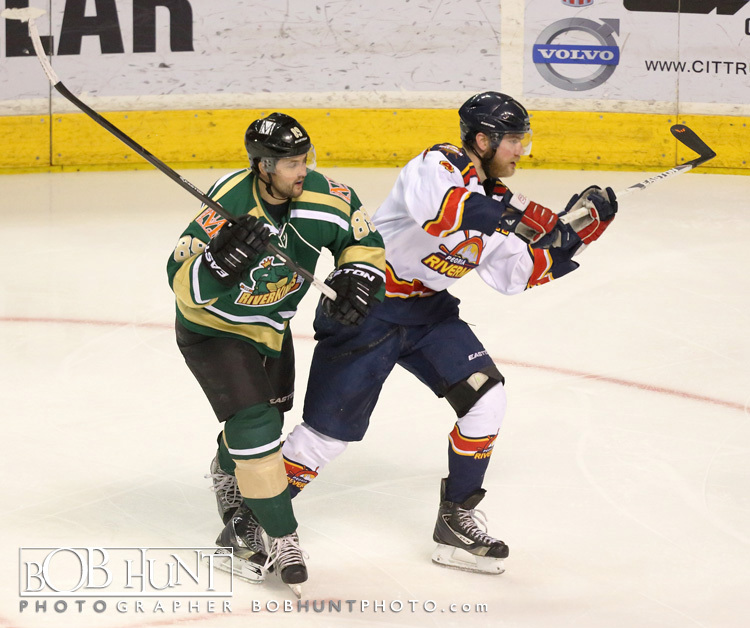 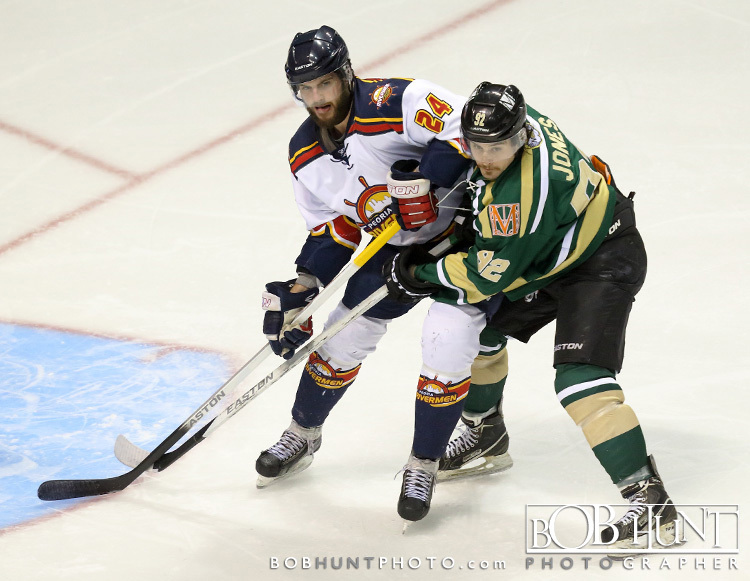 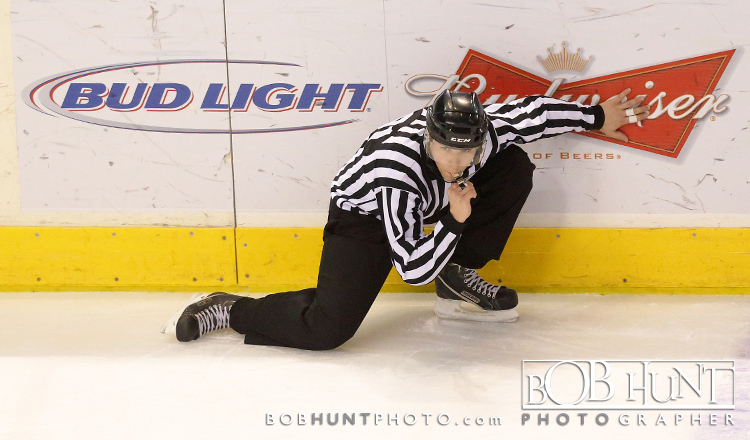 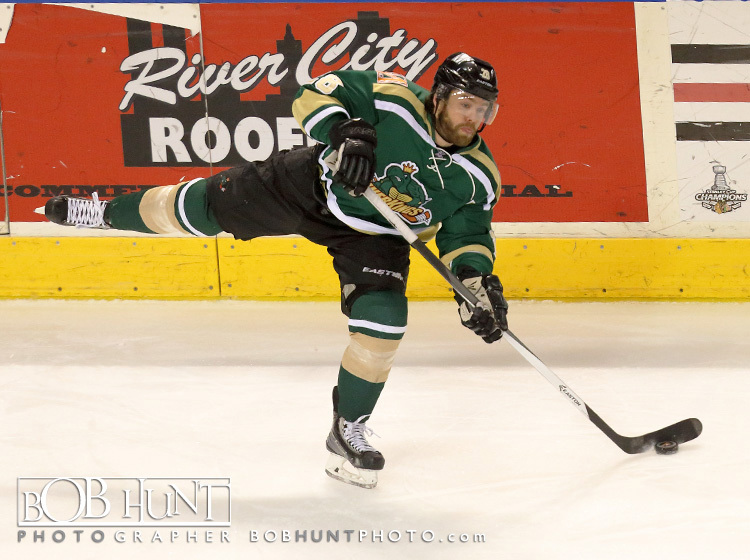 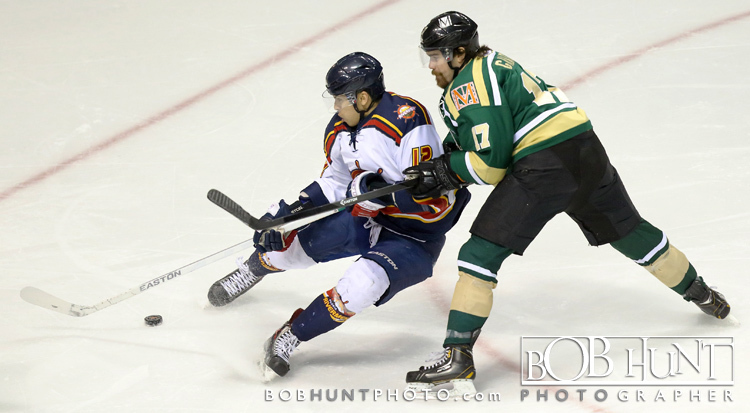 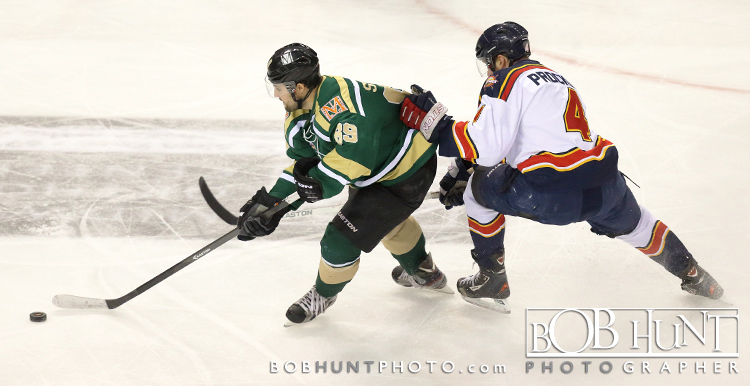 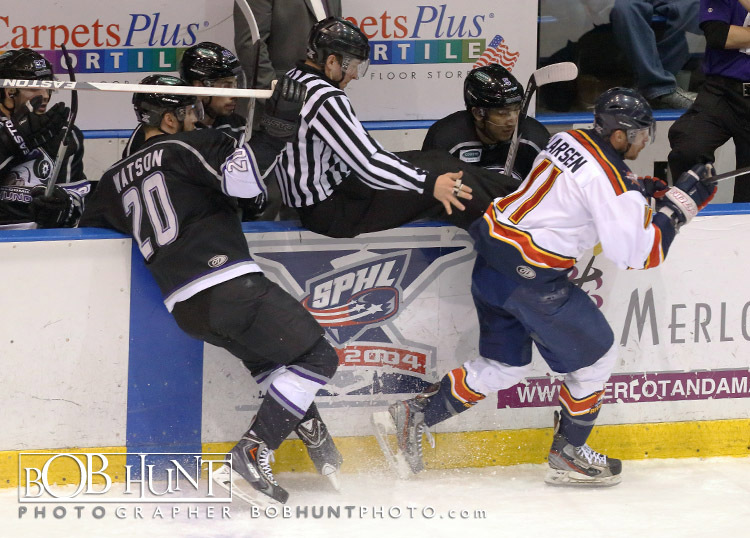 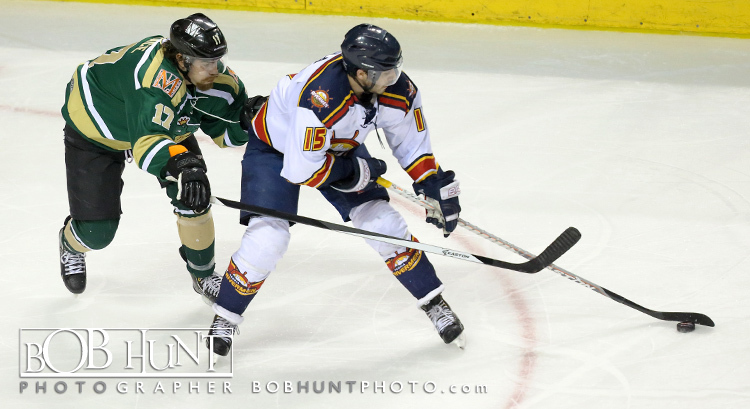 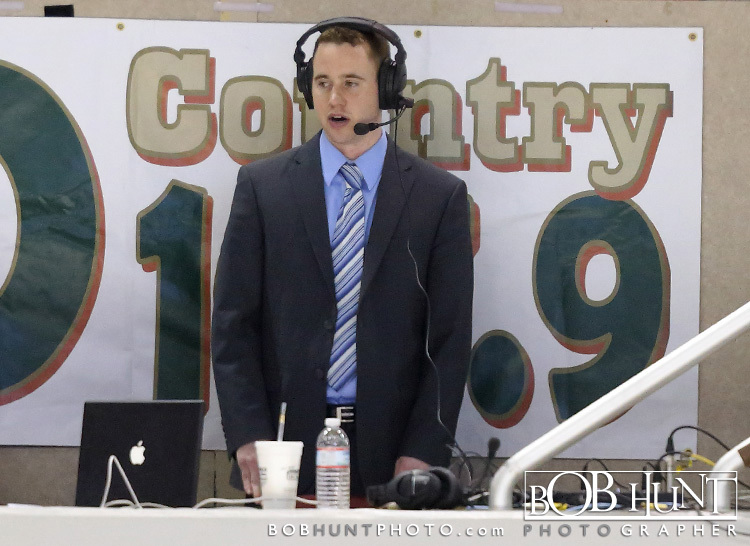 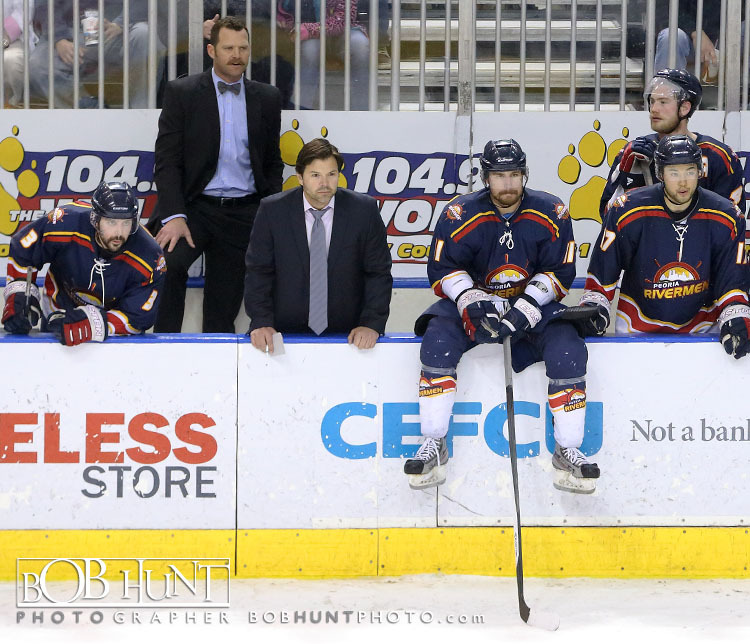 With the loss, Peoria falls to 20-14-4 on the season (44 points) and remains fifth in the SPHL standings. 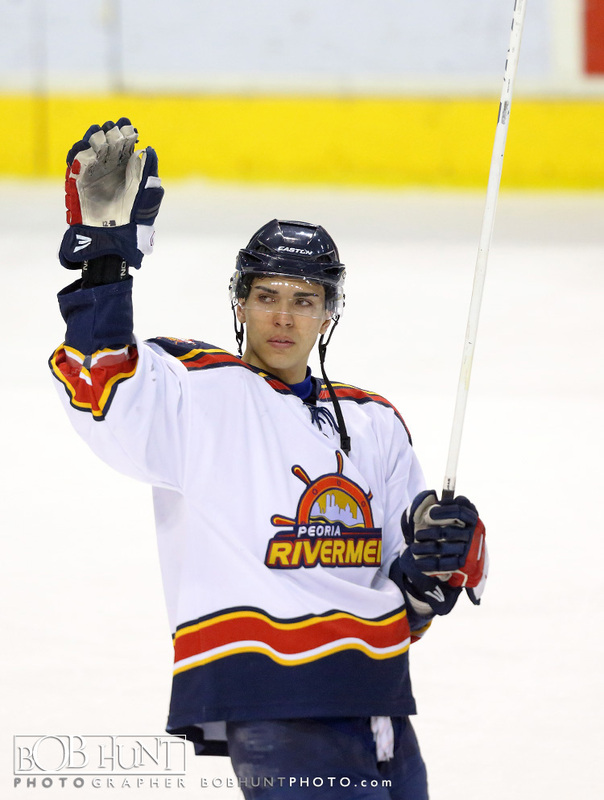 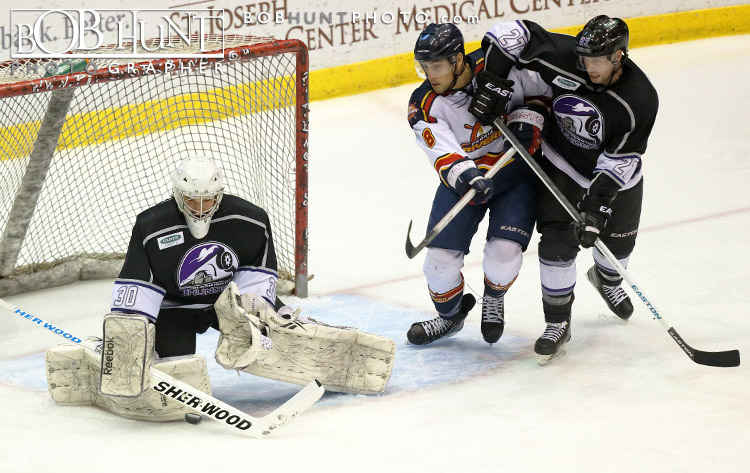 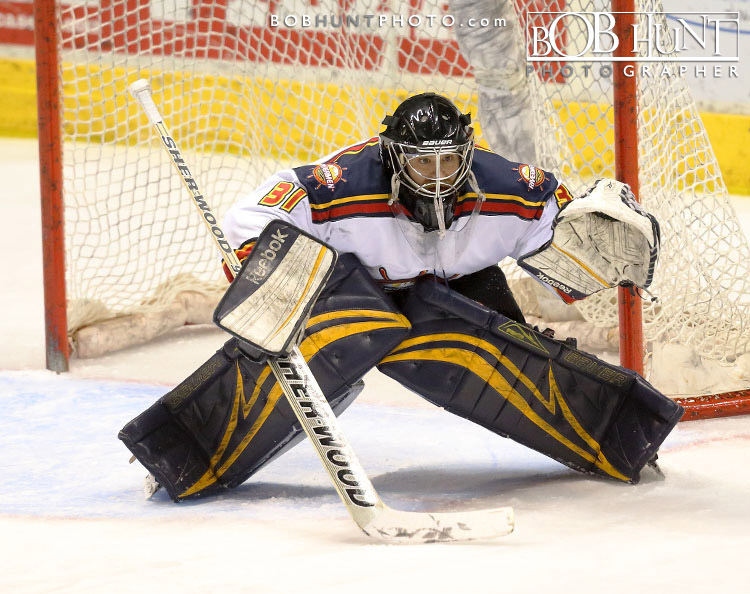 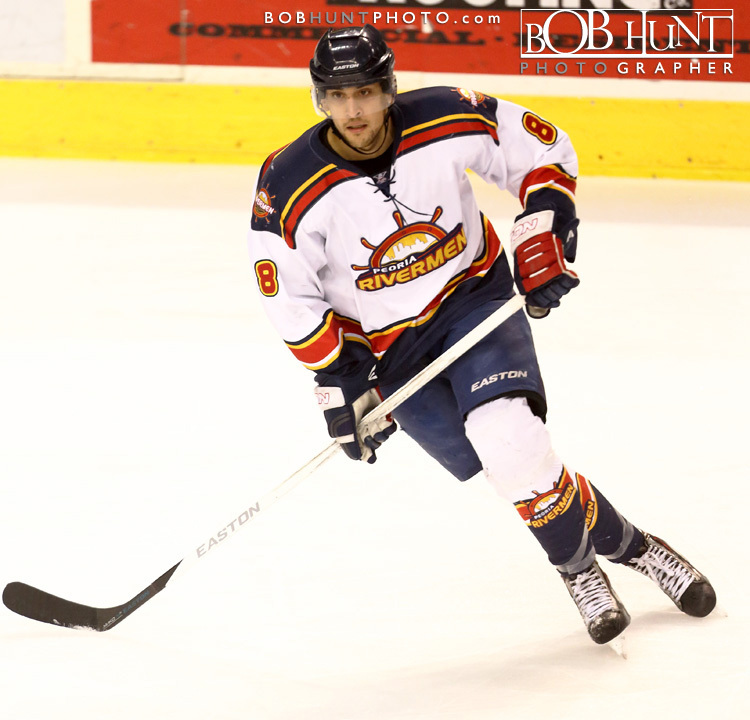 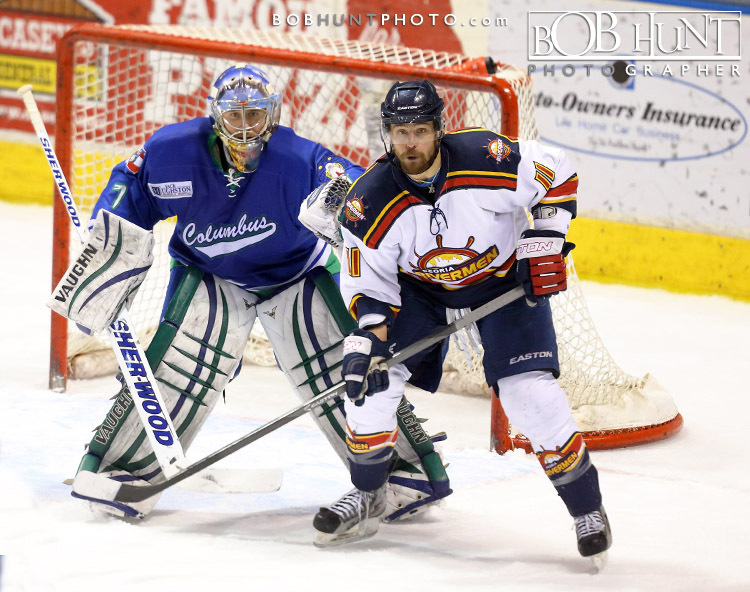 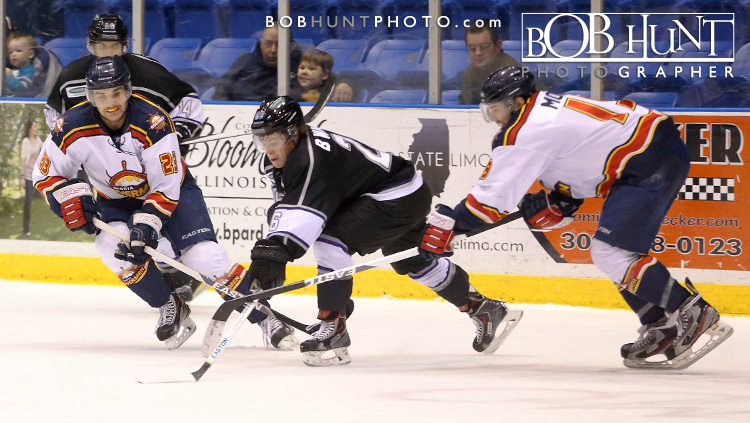 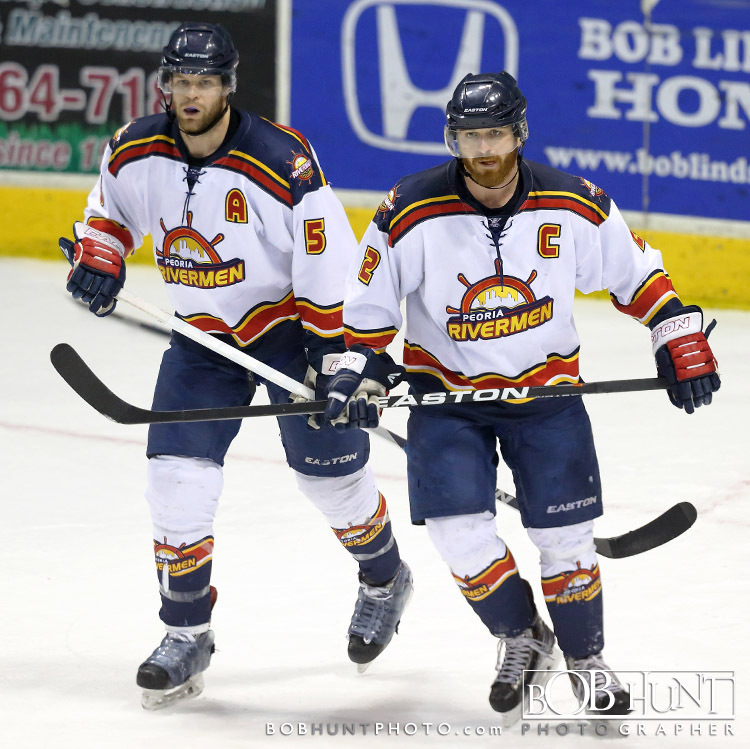 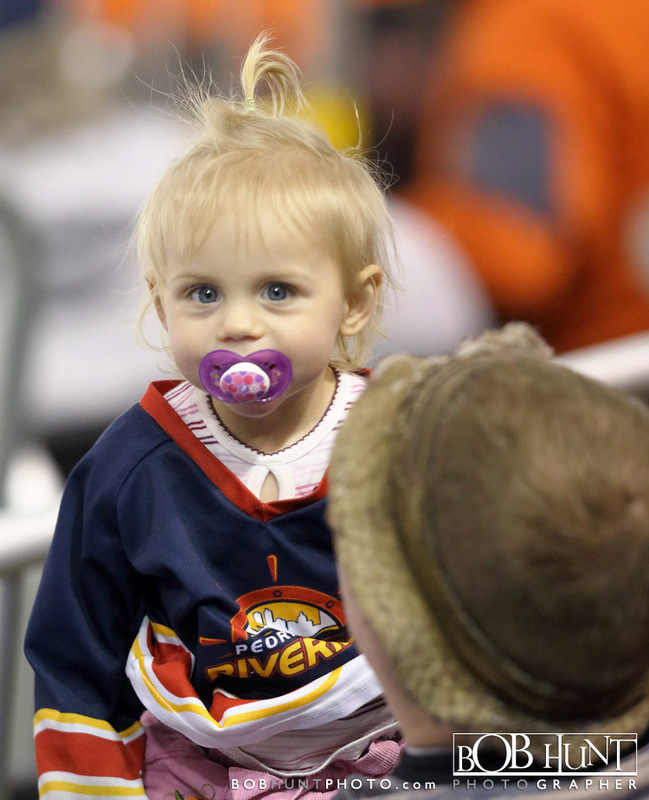 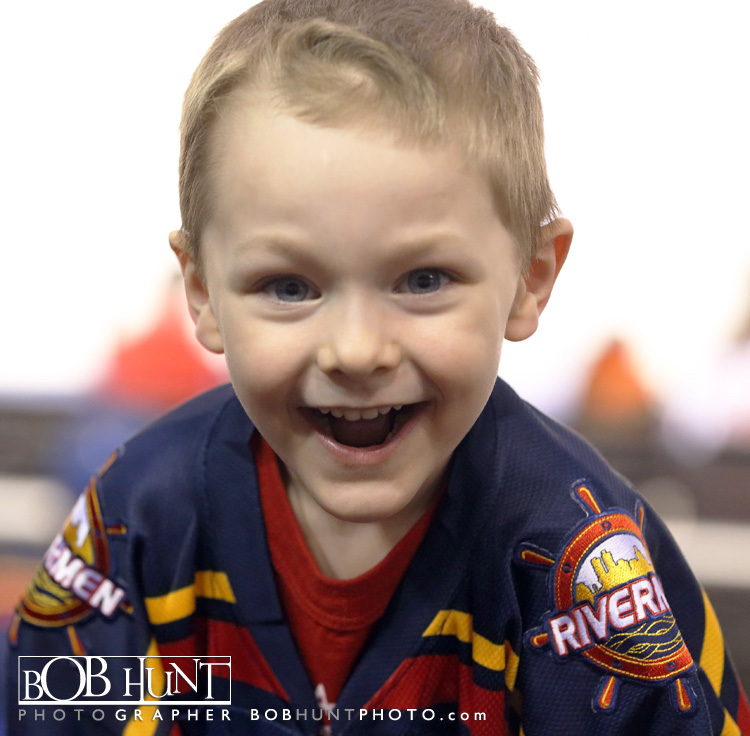 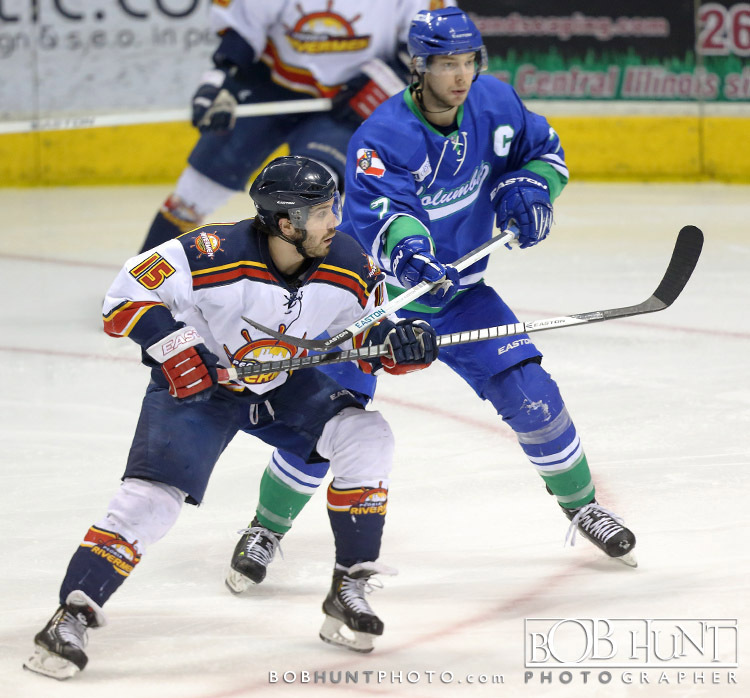 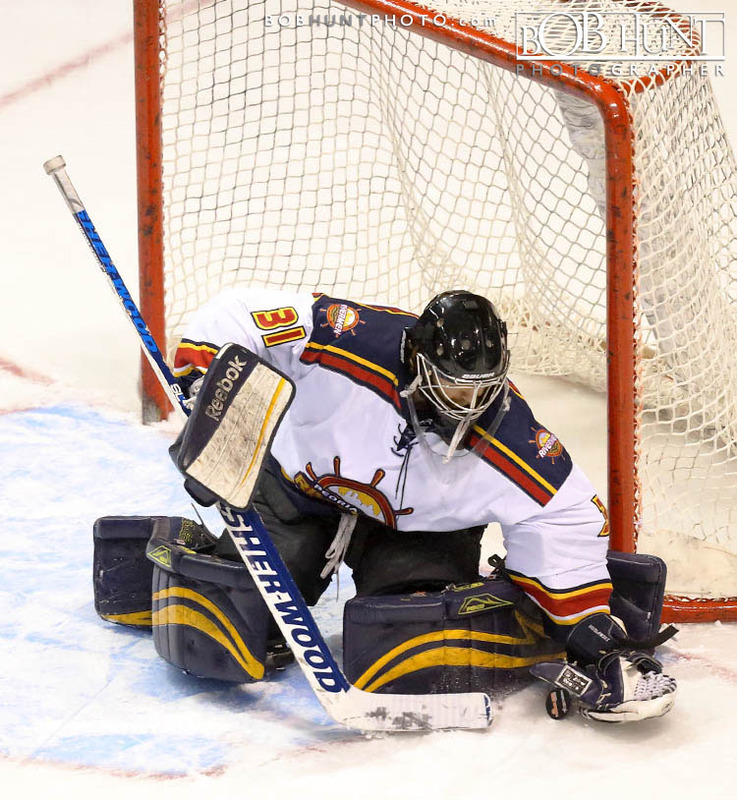 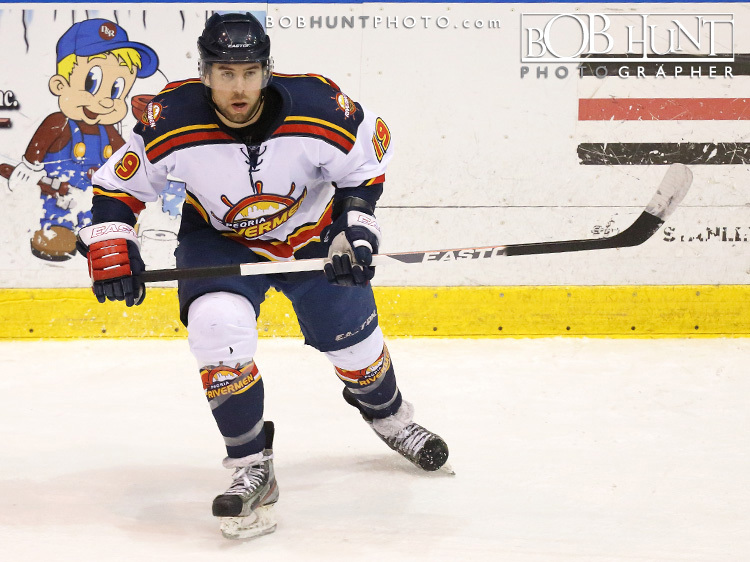 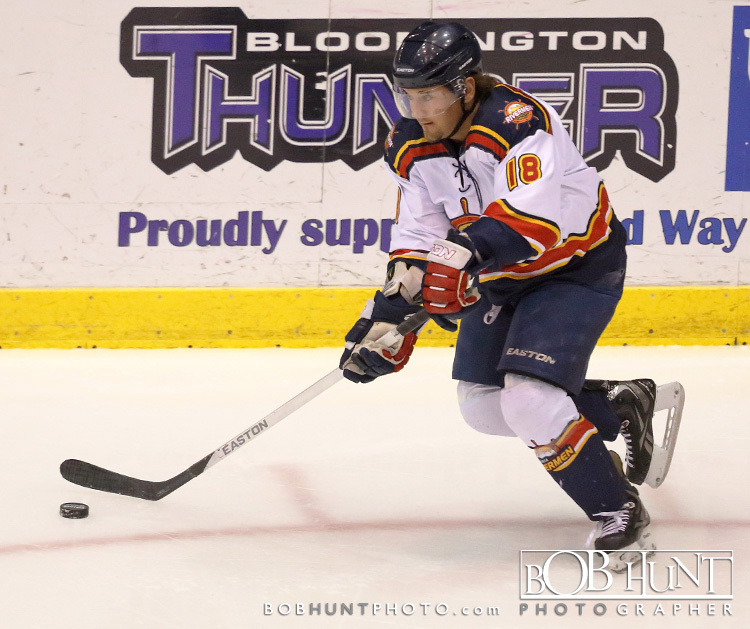 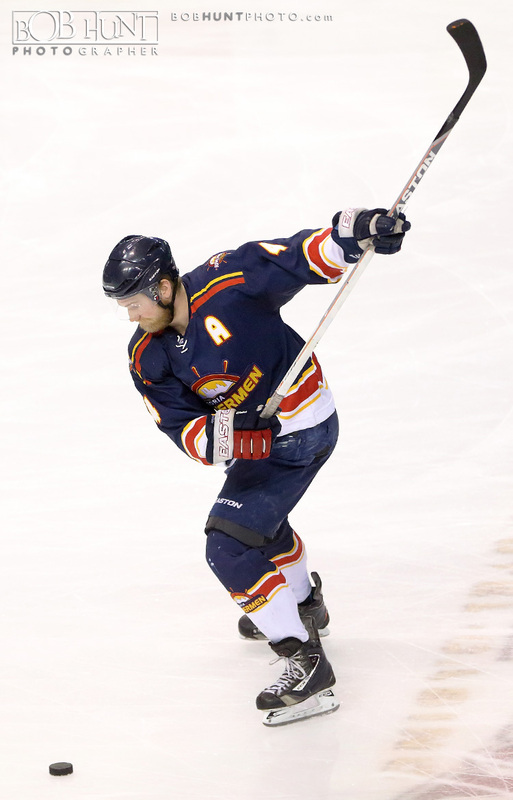 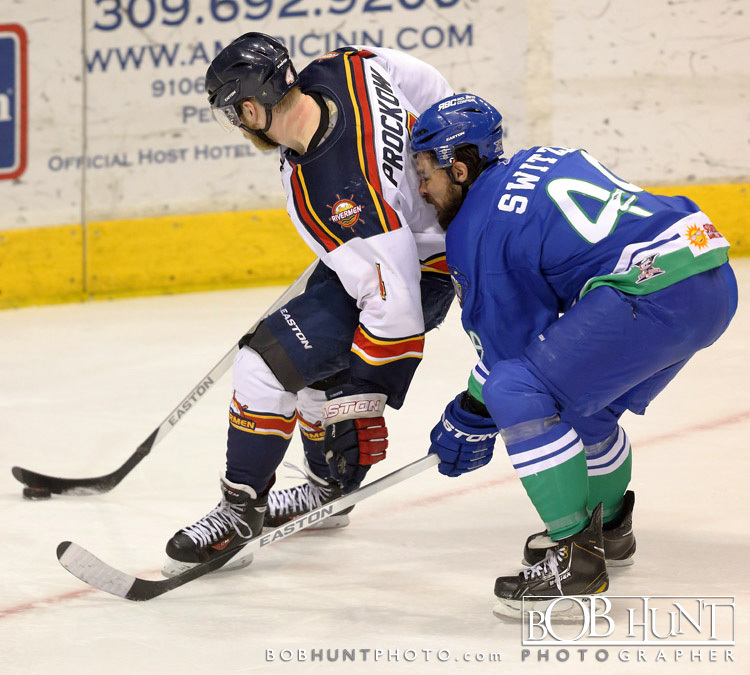 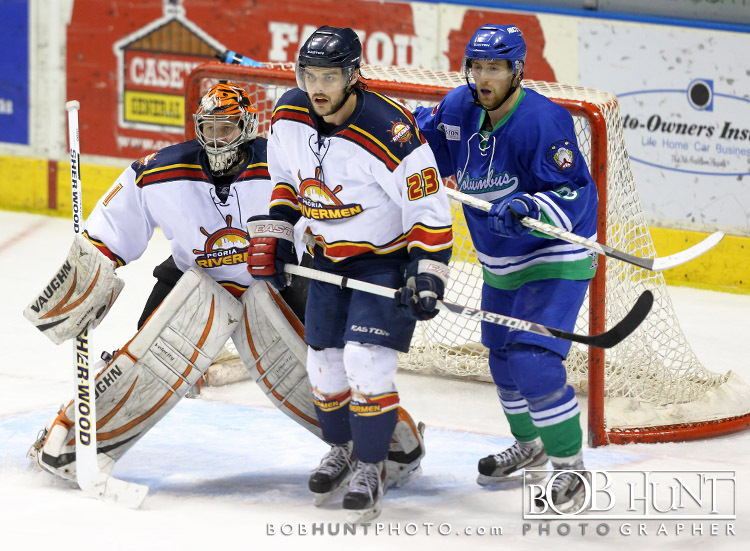 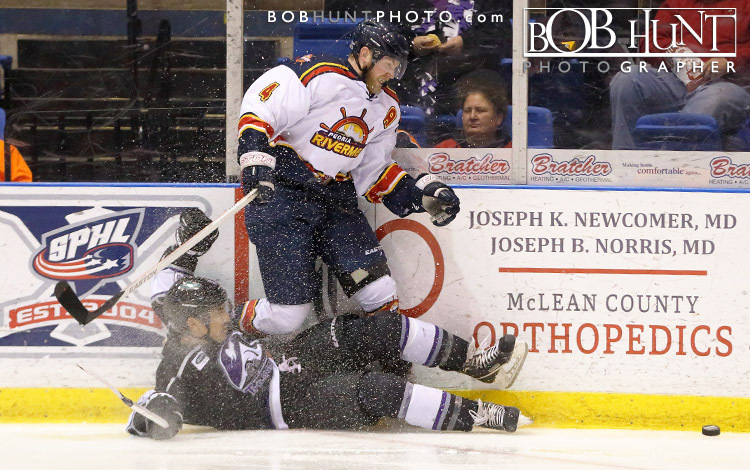 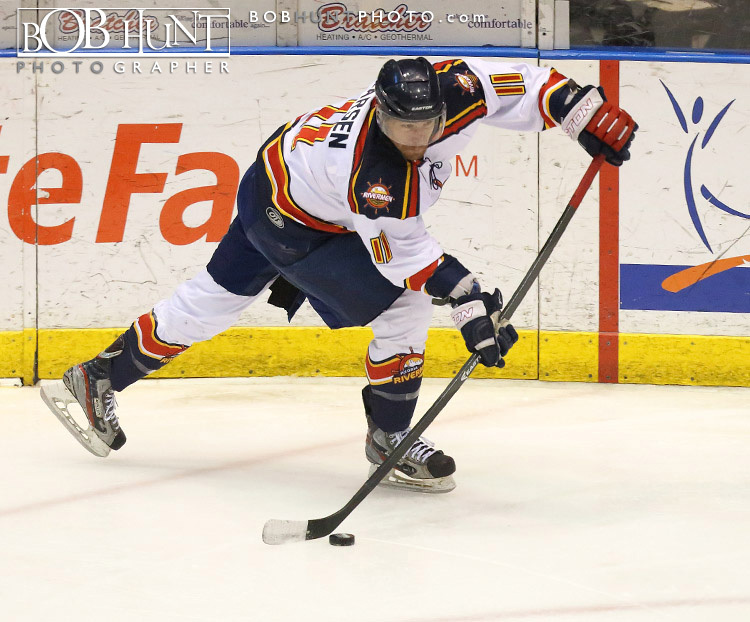 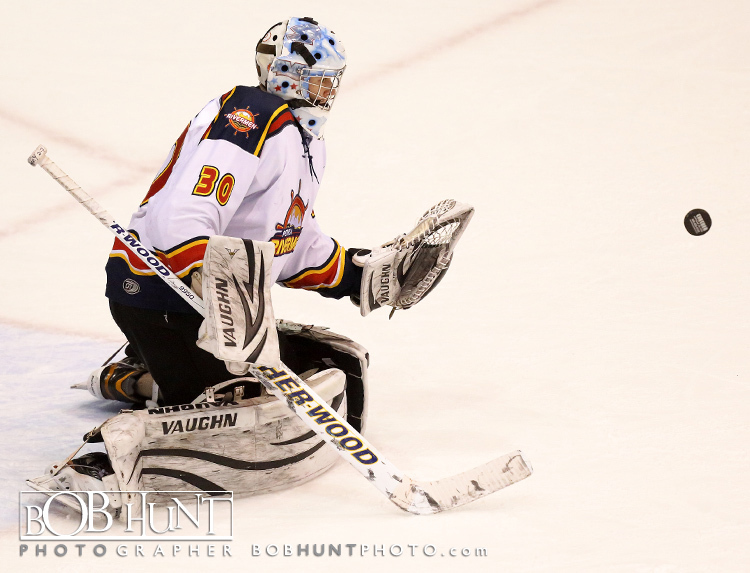 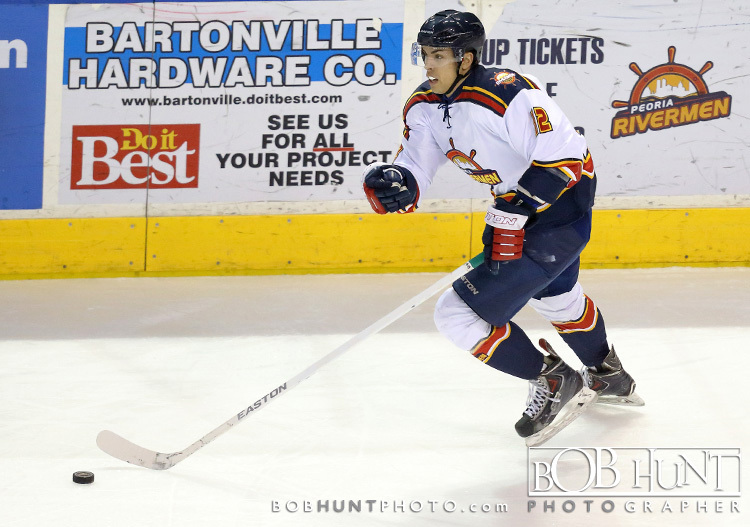 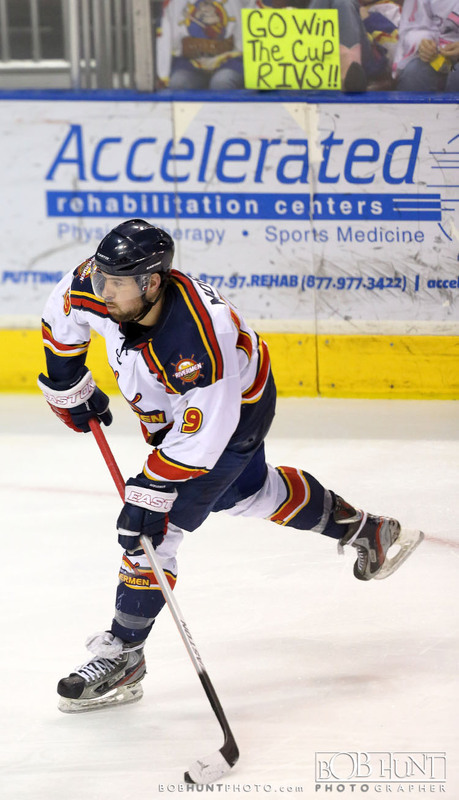 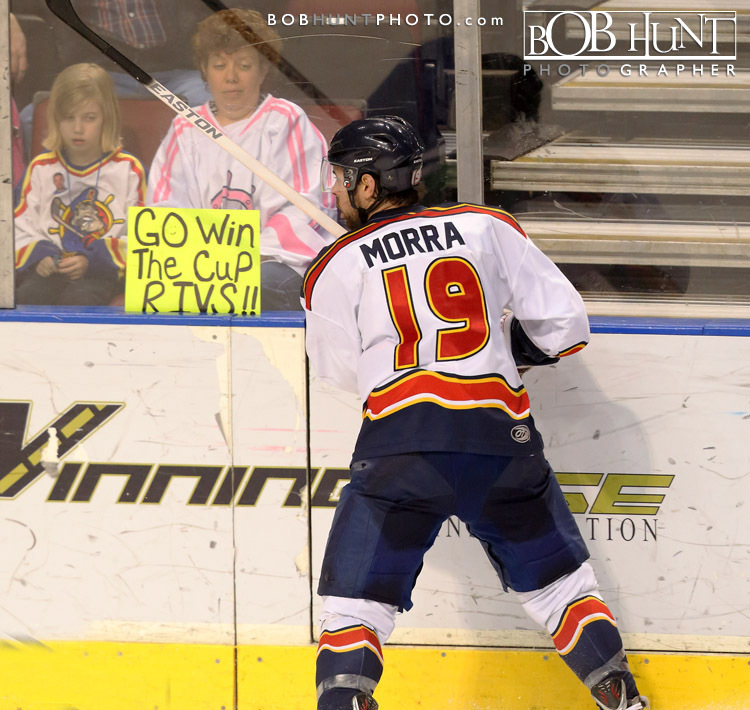 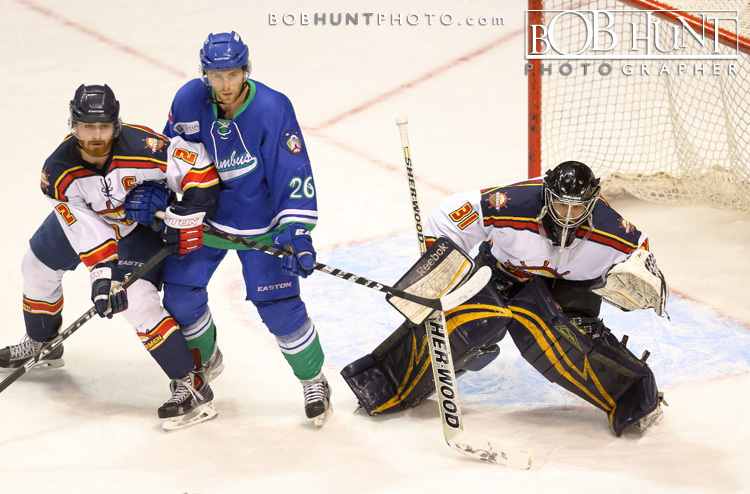 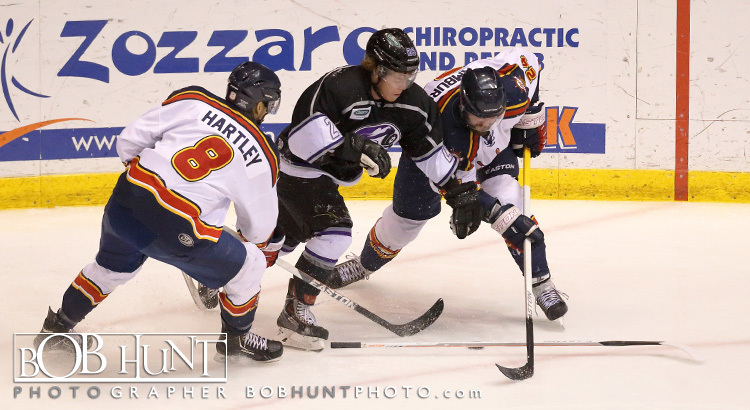 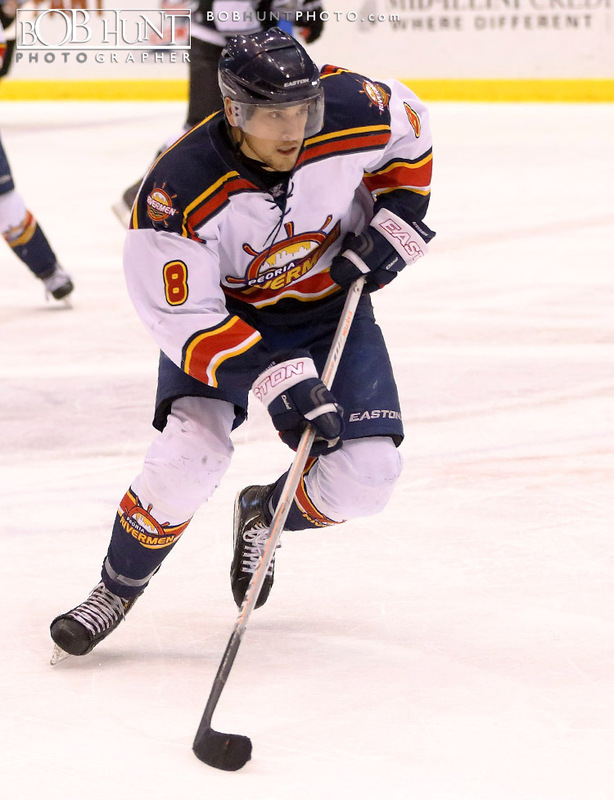 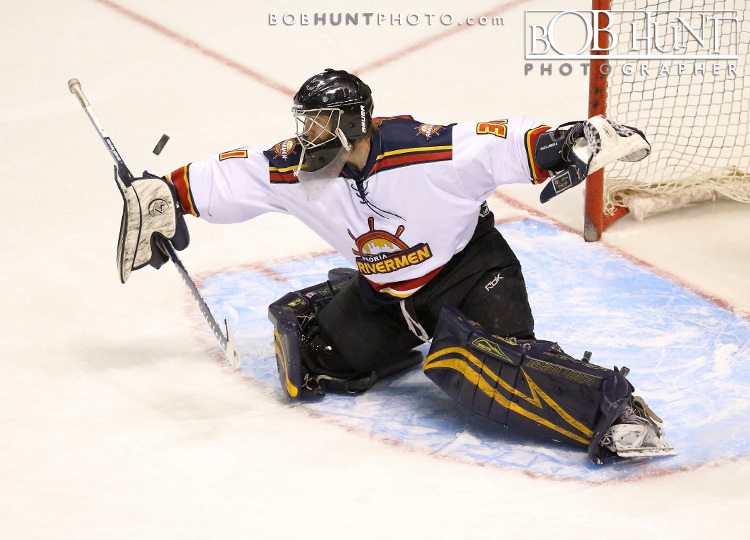 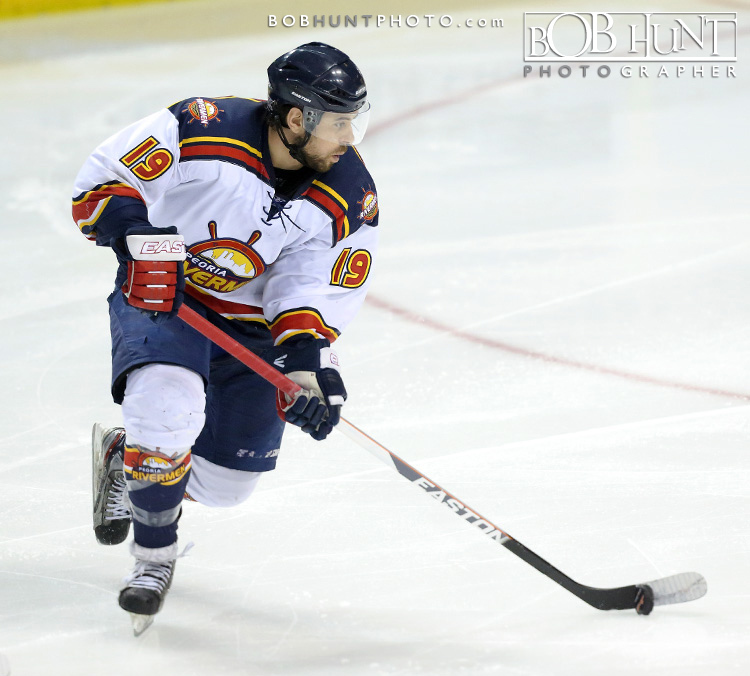 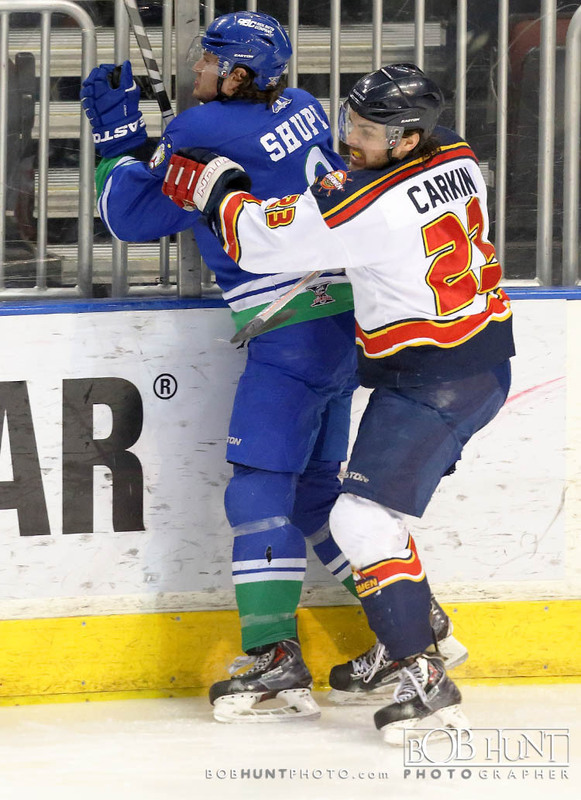 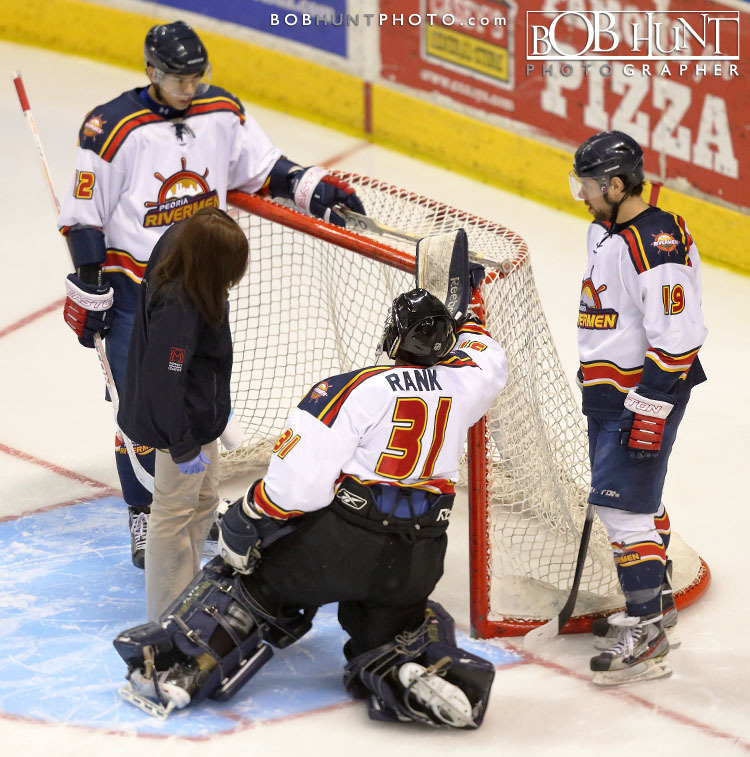 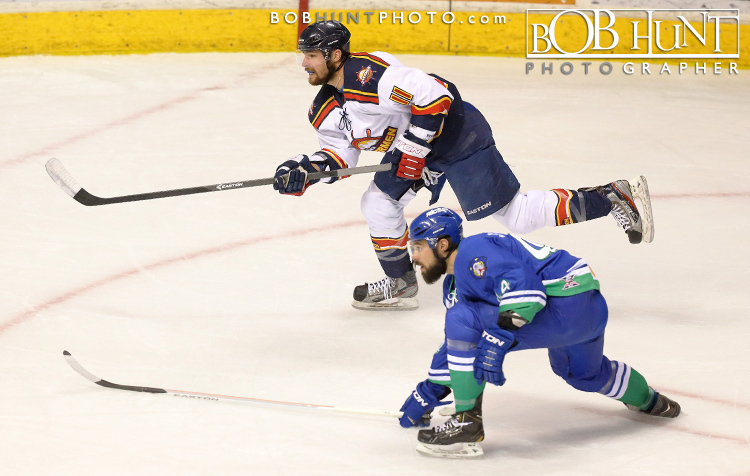 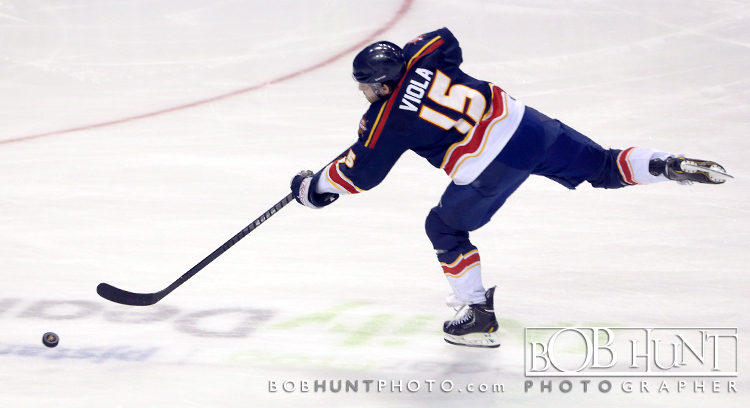 In addition, Peoria’s six-game point streak comes to an end, while the Rivermen have now dropped each of their last three games in the season-series to Bloomington. 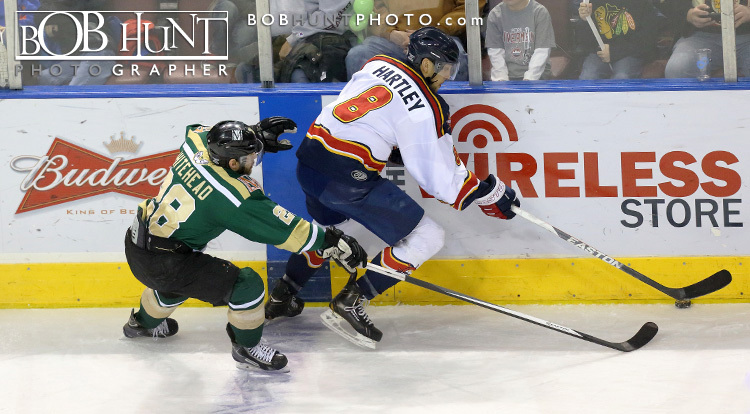 Peoria opened the scoring with just 16.3 seconds to play in the first period when Adam Hartley found Parker Stanfield on a backdoor pass from the left circle. 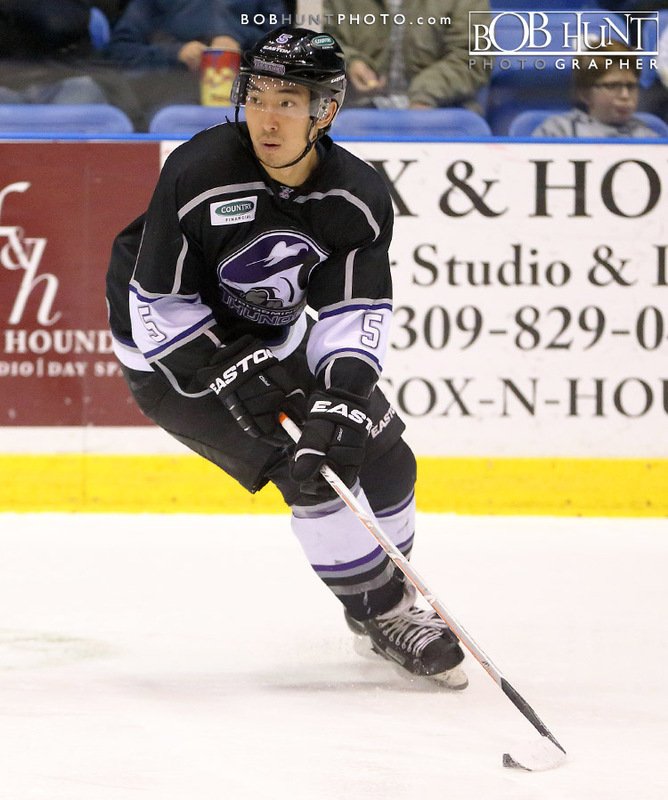 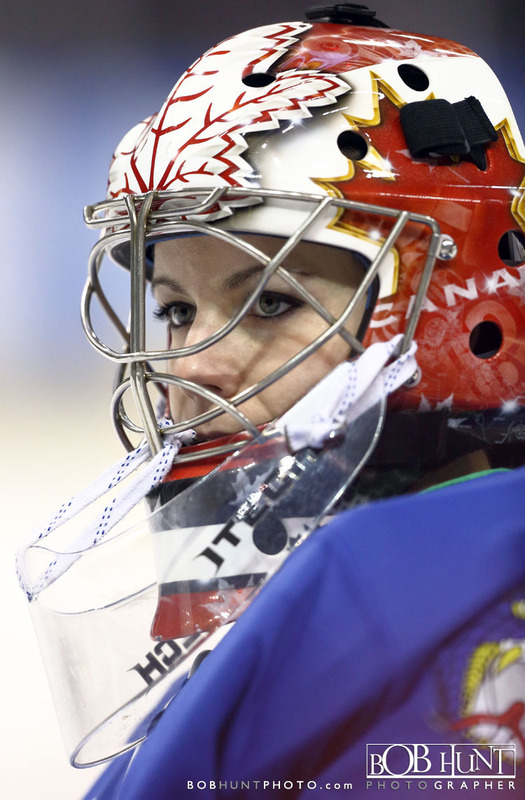 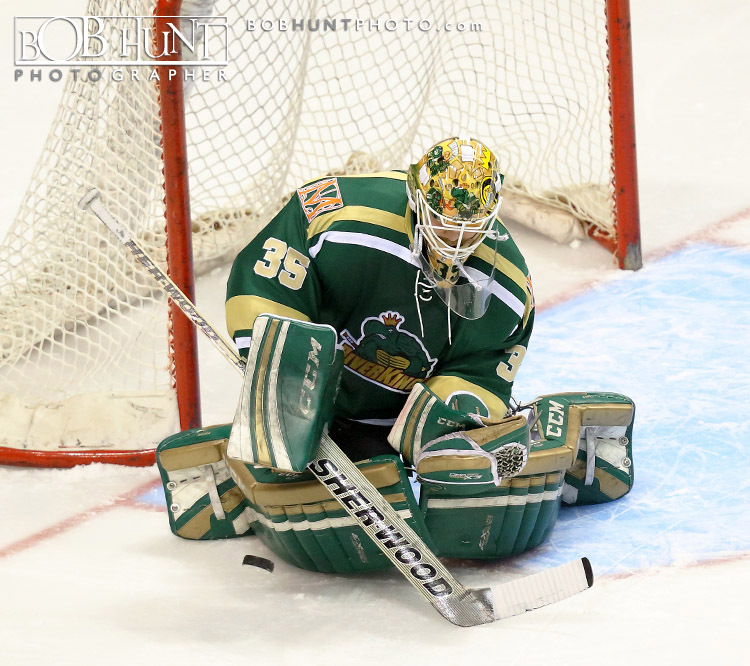 After Stanfield jammed at it several times from the back post, Yakura knocked the loose puck home past Thunder netminder B.J. 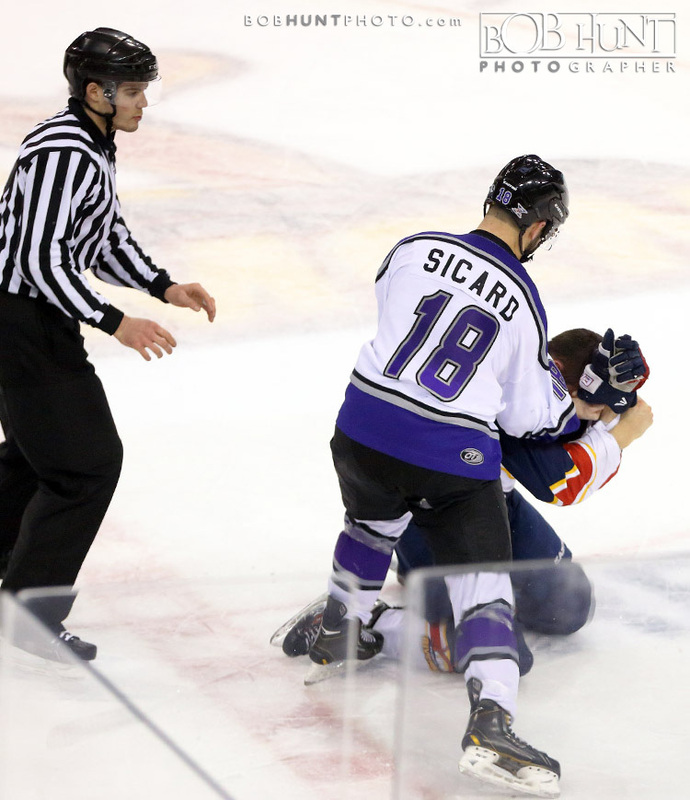 O’Brien at 19:44. 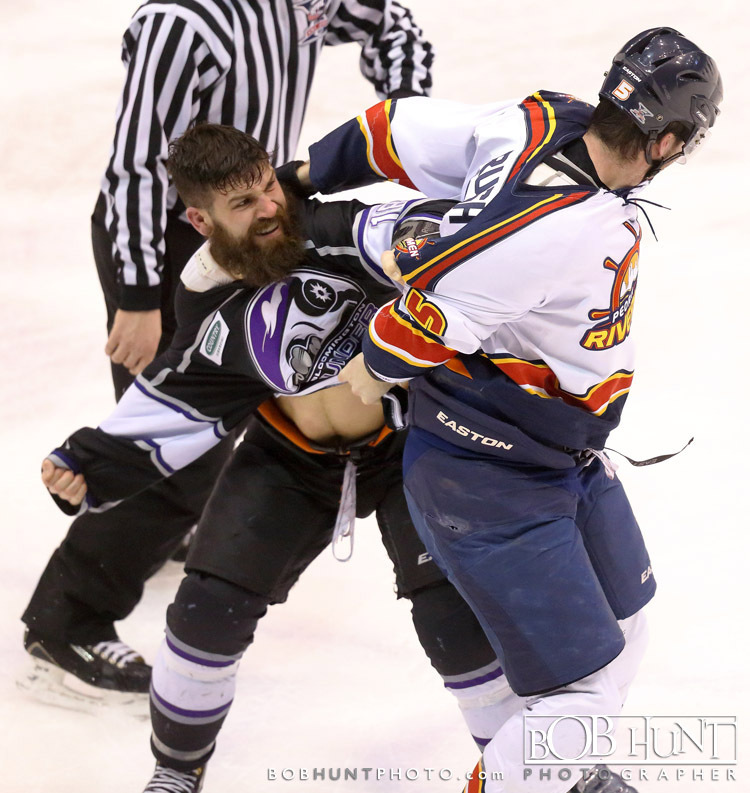 Seconds later, Jarrett Rush and Dennis Sicard dropped the gloves for the night’s first bout just as the first period expired. 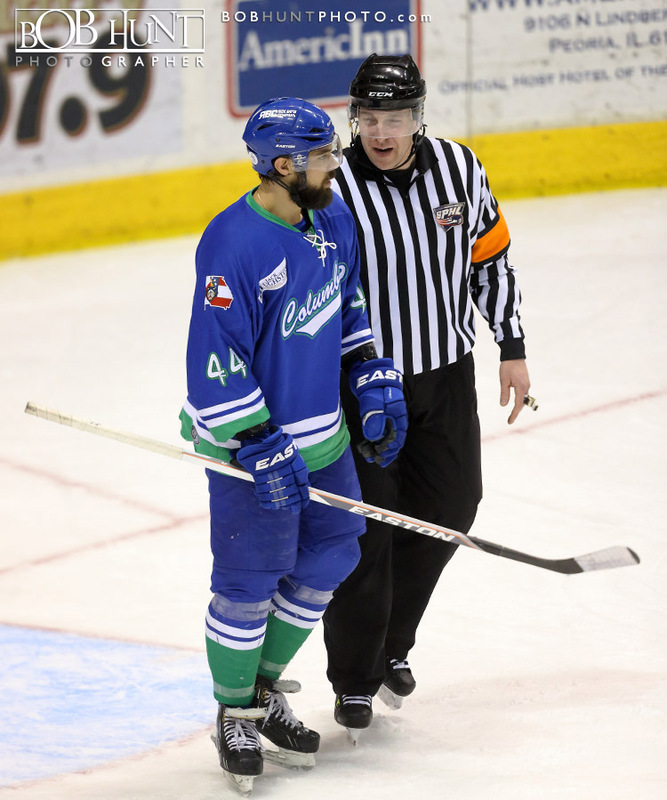 Each earned a five-minute fighting major as well as a two-minute unsportsmanlike conduct minor. 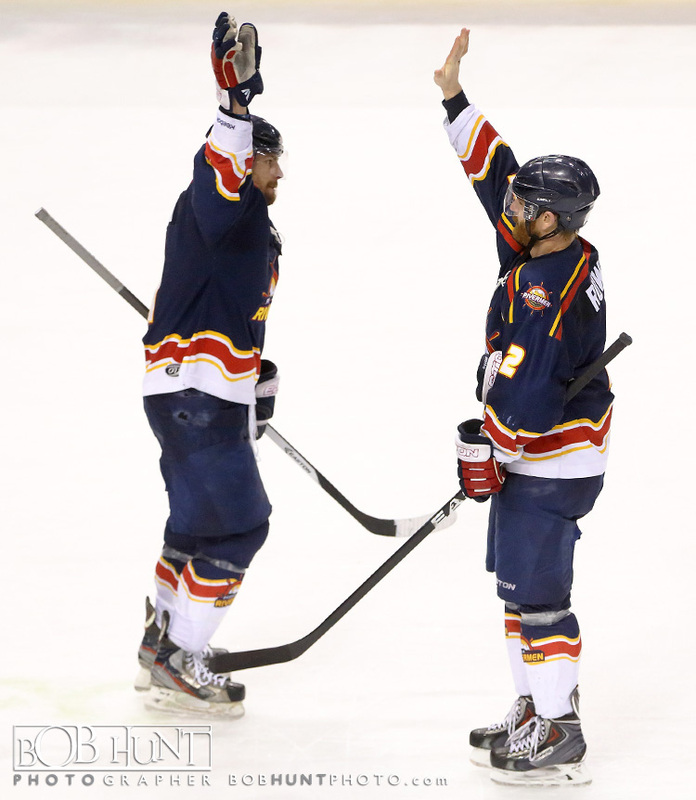 MacLoad collected the go-ahead goal at 12:38 of the third when he led a 3-on-2 charge down the right side and ripped a shot on target that Eric Levine knocked down, but watched trickle into the back of the net. 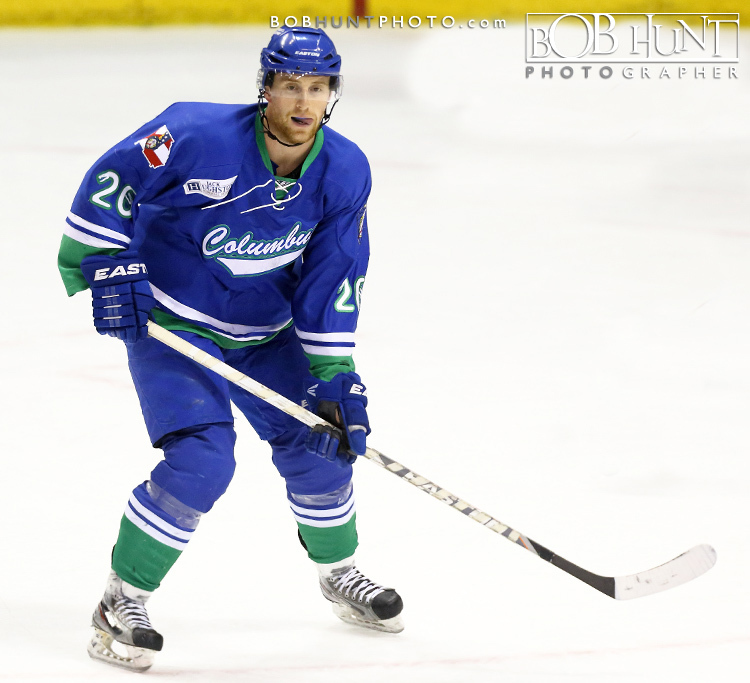 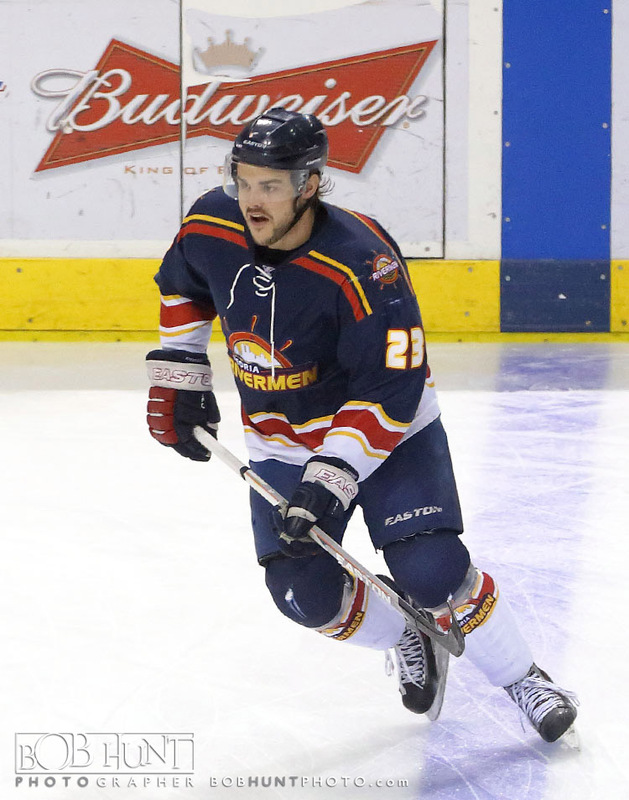 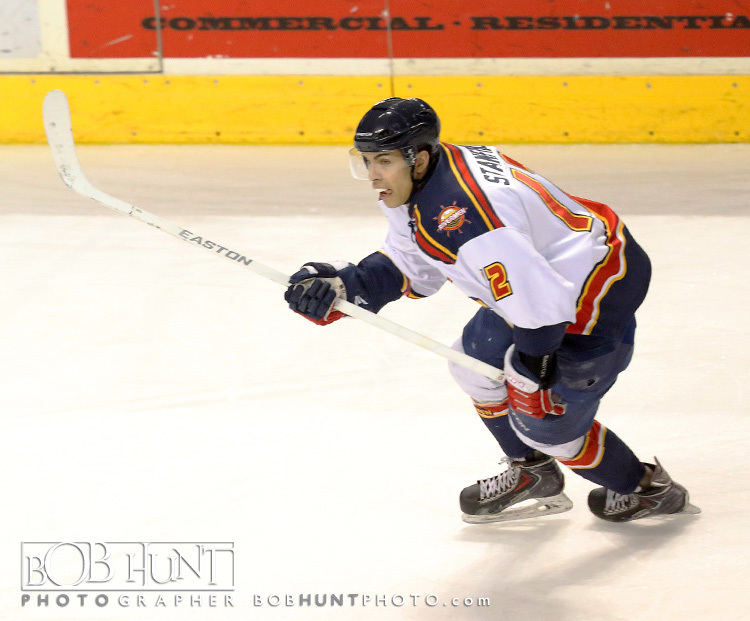 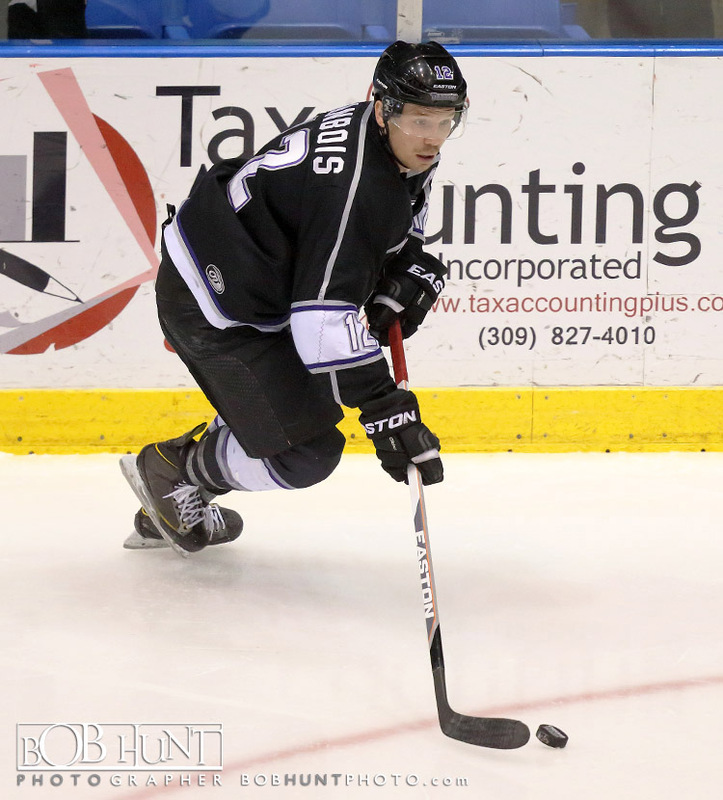 Travis Granbois and Sicard earned the assists. 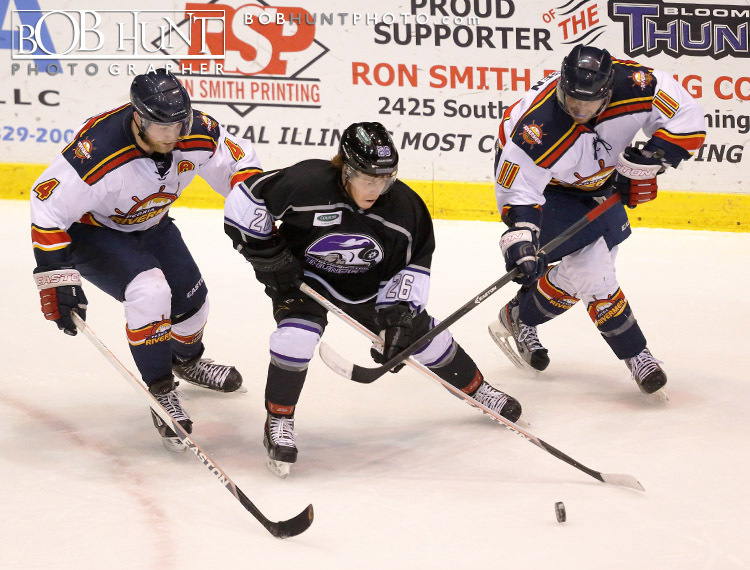 Peoria outshot Bloomington 30-29, but finished the game 1-for-3 on the penalty kill.